The Greek word from which the word protein is derived mean “of primary importance”. Protein is basically a macronutrient that is available in variable quantities in different parts of your body. It can be found in your hair, skin, nails, muscles, and organ tissues to name a few. In short, your body requires a lot of protein on a daily basis in order to remain strong and healthy. Apart from being present in different parts of your body, protein also has various functions for your health. It is very essential for regulating hormones, antibodies, and boosting your natural metabolism. Protein basically comprises of amino acids. These are often referred to as the building blocks of life. There are primarily 9 types of amino acids necessary to a human body. These are usually termed as essential amino acids. Unfortunately, your body fails to produce these essential amino acids on its own. Thus, the best way to fulfil the requirements of these essential amino acids in your body is by having a proper amino acids supplement. This is also where protein comes in. Protein is not just necessary for bodybuilders, athletes or professional sportspersons. It is also essential for any ordinary man leading an ordinary lifestyle. In fact, if you wish to lead a healthy life, you will need adequate amount of protein in your body. It is also true that the amount of protein required by your body is mainly determined by your personal lifestyle. According to the Institute of Medicine, the range of protein needed by an adult is from 10% to 35%. If you are basically an inactive adult and someone who does not exercise much, then the required percentage of protein for you is the on the lower side of the range. The higher end is for those of you who work out for long hours at the gym and lead an active lifestyle. Where Do You Find Protein? When it comes to including protein in the daily diet, there are several sources for the nutrient. However, when it comes to a vegan, the options for protein sources go down drastically. If you are a vegan, some of the best protein sources include soy products. However, there are also beans as another option. It is essential to note that beans do not have all the essential amino acids needed by your body. Thus, for a vegan who does not have animal products, soybeans are the best option for protein source. When it comes to protein sources, nothing beats animal products. The simple reason behind this fact is that the composition of a human body is quite similar to that of an animal. When you look for the right animal product source for protein, you will come across a term such as amino acid score. This score is basically used to grade the combinations your body crave and the richness of protein levels. An egg has a rating of 100% because it holds all the 9 essential amino acids useful for your body. It is also one of the best sources of protein available for you. This is why you will come across several egg protein powder supplements on the market. It is a known fact that the white portion of an egg contains all the protein found in an egg. The yellow portion contains calories. This is why professional bodybuilders and those of you who spend a lot of time at the gym are suggested to have just the egg whites and not the yellow portion. 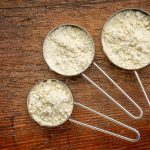 You will come across several protein supplements on the market that claim to be the best egg white protein powder at the stores. However, which one of these best-rated egg protein powder is indeed made from eggs and which ones are made from whey is something you should find out before buying. It is essential for you to know that the best egg white protein powder provides a complete protein solution. It comes with all the 9 essential amino acids needed by your body. According to some of the best egg white protein powder reviews, these do not come with high amounts of fats or carbohydrates. The best egg protein powder can also help you with dieting and get back in shape. Once your body gains protein, it will automatically burn fat faster. These supplements are also free from lactose. Jay Robb is a popular personality in the world of fitness and diet. He is also known by some as a diet fanatic and happens to be the founder of the Jay Robb-Egg White Protein Powder. As the PaleoPro-Protein Powder adheres to the standard of the paleo diet, this protein powder comes free from any artificial ingredients and preservatives. 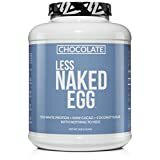 Unlike many other egg white protein powders available on the market, the Naked Egg-Egg White Protein is a simple supplement that contains just Sunflower Lecithin and egg whites. Most of you may be wondering, what is the best egg white protein powder available on the market. Well, you will come across many that will claim to be the best tasting egg protein powder you will ever find. This protein supplement comes with protein from several sources such as beef, milk, sodium caseinate, and egg. This may make this supplement not too good for obese people. Is always determined to provide you with the best quality health supplements. Although their packings are quite attractive, the quality of their supplements are also pretty high. The Egg White Protein Powder supplement is especially suitable for those of you who are on a paleo diet. It is completely free from soy and GMO and can easily mix with water. Each Paleo Thin Protein Egg White package comes with 30 servings and each serving gives you 25gm of protein. Jay Robb is a popular personality in the world of fitness and diet. He is also known by some as a diet fanatic and happens to be the founder of the Jay Robb-Egg White Protein Powder. Ever since the year 1988 when he was around, his primary goal has been to help others with their overall health, wo, and diets. 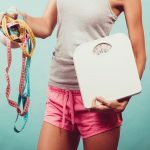 Are you also planning to shed excess body weight? This protein powder may just be the option to help you. 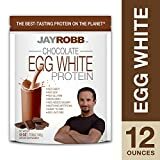 The best part about the Jay Robb-Egg White Protein Powder is that it is very low in calories and carbs. It does not even have fat, which is not the case with most other protein shakes on the market. This supplement is available in 3 different packaging sizes such as 12 ounce, 24 ounce, and 80 ounce. It is also available in 4 different flavors, strawberry, vanilla, chocolate, and unflavored. It is good for you to note that the Jay Robb-Egg White Protein Powder comes with xylitol, which is used as a sweetener. However, this ingredient may not go well with many users. The Jay Robb-Egg White Protein Powder comes in a vanilla flavor. It uses only egg whites as the primary source of protein and is absolutely free from fat. It is a non-GMO supplement and does not contain any artificial ingredients. The price of this supplement is pretty high. 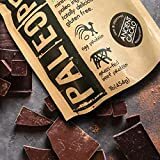 As the PaleoPro-Protein Powder adheres to the standard of the paleo diet, this protein powder comes free from any artificial ingredients and preservatives. 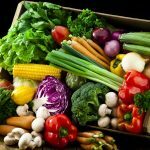 According to researches, processed foods can contribute to quite a few degenerative diseases that have been going on through generations. The PaleoPro-Protein Powder does not contain any soy or GMO ingredients. It is also free from lactose, whey, antibiotics, hormones, dairy products, added sugar, wheat products, gluten, and gains to name a few. 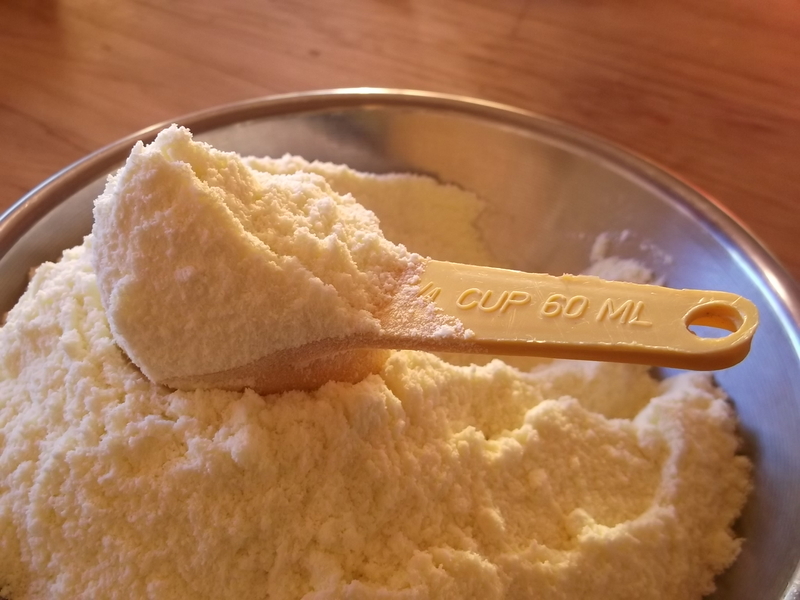 However, stevia is used in this protein powder as a sweetener and the price of this product is comparatively pricier than most other protein powders in the market. As the name suggests, the PaleoPro-Protein Powder comes with paleo ingredients. It is made from grass-fed, pastured beef. This supplement if free from any artificially injected hormones. This protein powder is certainly not meant for vegans. The price is slightly on the higher side. 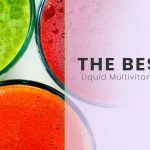 There are some users who have complained about the product not mixing well with liquids. Unlike many other egg white protein powders available on the market, the Naked Egg-Egg White Protein is a simple supplement that contains just Sunflower Lecithin and egg whites. It is also pretty low on calories, carbs, and fats, which is a good thing for those of you who wish to shed unwanted body weight. This protein powder is also free from artificial colors, artificial sweeteners, and artificial flavors. The best part about this product is that it is made entirely in the US. The egg whites are also processed in a single day in order to maintain the most complete and highest amino acid profile. Each serving of this supplement comes with 25gm of protein, 5.8gm of BCAAs or branched chain amino acids, 110 calories, and 2gm of carbs. It is also good for you to note that the Naked Egg-Egg White Protein comes with paleo-friendly protein. This makes it one of the best egg white protein supplement for a person following a paleo diet. The Naked Egg-Egg White Protein is free from lactose. It does not contain artificial ingredients or additives. It is absolutely paleo friendly. This protein powder also happens to be a non-GMO product. The price of the Naked Egg-Egg White Protein supplement is on the higher side. There some users who have complained that the product tastes salty. Most of you may be wondering, what is the best egg white protein powder available on the market. Well, you will come across many that will claim to be the best tasting egg protein powder you will ever find. However, very few of those products will actually be good. You may try the Universal Nutrition Milk and Egg supplement. The best thing about it is that it is packed with several protein sources such as milk, whey, and eggs. Do you have allergies from lactose? Well, in that case this supplement may prove to be a bit challenging for you as it has lactose in it. Nonetheless, it is suggested that you have this supplement 3 times a day with each serving measuring 24gm. The Universal Nutrition Milk and Egg is best suited for professional athletes, who have to exercise and practice hard for most parts of the day. This is simply because the protein released from this supplement tends to last throughout the day. You may have it before your strenuous workout routine. However, if you wish to lose weight, this supplement may not be a good choice as it contains calories, fat, and cholesterol. The amount of protein released from the Universal Nutrition Milk and Egg supplements lasts an entire day. This supplement is certainly not free from lactose. It also comes with an artificial sweetener. Those of you who are above the age of 40, will normally experience a fall in your energy levels and stamina. You will also find it quite challenging to do your cardio workouts on a daily basis. However, there is good news for people in this age group. You can try Beverly International Vanilla Powder, which is made especially for users above the age of 40 years. It is one of the best egg-based protein powders and rather helpful in maintaining your muscles with age. This protein supplement comes with protein from several sources such as beef, milk, sodium caseinate, and egg. Although this helps your body get properly enriched in proteins, it does tend to increase your fat content, calories, and cholesterol in your body. This may make this supplement not too good for obese people. The price of this supplement is higher when compared with its competitors. 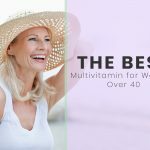 The Beverly International Vanilla Powder is one of the best tasting egg white protein powders recommended for users above the age of 40 years. It has a wide array of proteins. This supplement is not free from lactose. It is also not meant for vegans. The price of this product is on the higher side. As the name suggests, the Egg White Paleo Protein Powder is a paleo friendly supplement. 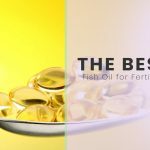 If you are on a paleo diet, you can safely have this supplement to improve your health. It does not contain anything artificial and unnatural that could harm your health. Each serving of this product gives you 23gm of protein. 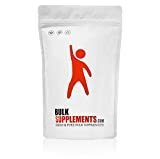 This supplement is rich in amino acids and is ideally suited for those of you interested in building strong and lean muscles. 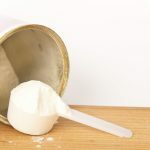 The manufacturer of the Egg White Paleo Protein Powder, BulkSupplements, is always determined to provide you with the best quality health supplements. Although their packings are quite attractive, the quality of their supplements are also pretty high. The Egg White Paleo Protein Powder is a lab tested supplement. It does not come with any artificial additives and is absolutely free from lactose. There are users who complain that this product does not mix well. You will come across several egg white protein powder supplements on the market that are flavored either artificially or naturally. However, the Egg White Protein Powder supplement is a completely unflavored product. Thus, you may have to add a sweetener of your choice with the powder in order to make it drinkable. This product includes egg whites and Sunflower Lecithin. The Egg White Protein Powder supplement is especially suitable for those of you who are on a paleo diet. It is completely free from soy and GMO and can easily mix with water. The eggs used as a source of protein in this product are all collected from UEP certified egg farmers. Each ¼ cup serving comes with 20gm protein, 95 calories, and 1 carbohydrates. The packaging of this supplement is also carried out in a gluten-free bakery. The eggs used in the Egg White Protein Powder supplement are all UEP certified. The manufacturer guarantees a complete customer satisfaction. It is free from lactose. You may have to mix this supplement with a sweetener of your choice. The best part about the Paleo Thin Protein Egg White is that it contains just 2 major ingredients, Sunflower Lecithin and egg whites. Since it adheres to the paleo diet, it is absolutely good for those of you who follow such a diet. It has very low content of calories and carbs and does not contain any fat or sugar. All these features help this supplement to be suitable enough for users who wish to lose weight and get back in their old jeans. Each Paleo Thin Protein Egg White package comes with 30 servings and each serving gives you 25gm of protein. Since it is absolutely unflavored, it is better to add some sweetener to it in order to make it edible. The supplement is also best suited for those of you who wish to grow lean and strong muscles. 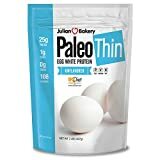 The egg whites used in the Paleo Thin Protein Egg White are of the highest grade. There have been complaints about an unpleasant taste. It is true that choosing the best egg white protein supplement can be a tedious task for most of you. 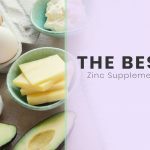 However, if you are sure about what you want and what all ingredients can cause allergic reactions in your body, the search for the best and most suitable protein supplement can become much simpler. It is true that protein can help you build lean and strong muscles. It is also available in abundance in different parts of your body such as your hair, nails, and skin. However, too much of anything can cause harm to your health. This is also true when it comes to protein. If you have protein supplements in excess, it can cause various types of health issues in your body. Thus, it is always a good idea to discuss with a doctor before you start having any health supplements. Nonetheless, it is true that proper amount of protein in your daily diet can help boost your energy levels and also help you with various things in life.